Take a glimpse at the Kipling KAEON Collection for this Spring Summer 2016. It’s inspired by women around the world who want the Kipling casual confidence, practical with a smarter approach. The KAEON elevates our everyday style with bold features, high-quality hardware, Kipling functionality and vibrant details. The collection features 4 distinctive designs, created to complement the modern woman who has her hands full while juggling life: Ready Now, Lifesaver, Blocky Friend and On A Roll. The material is super easy to maintain, lightweight, water-repellent and durable. It is made with the new Aires fabric, which incorporates 37% recycled PET polyester fibres and uses 90% less water during the dyeing process. The Blocky Friend is my pick for the season with contrasting blocks of colour. It’s the perfect size to carry all our essentials with ease, Blocky Friend has one extra zippered pocket nestled within the main compartment, and comes with a detachable Kipling key ring. Nest is the Lifesaver for women on the go because it’s so practical and roomy. The tote bag is large enough to fit your A4 documents or laptop, yet luxurious enough to take you from the workplace to after-office social events. With a zipped front pocket on the outside and four more pockets within the main compartment, you’ll never have to rummage for your keys or phone anymore. This Ready Now cross-body bag is complete with a butter-soft suede lining and rich leather details. The flap closure has a magnetic stud and a full-length zip underneath, which you can leave open for quick access or closed for security. Two diagonal front pockets and a rear zip pocket leave lots of space for knick-knacks and on-the-go essentials. Well, On A Roll is for the modern girl with an exciting lifestyle, this medium-sized backpack is eye-catching, super-functional and bang on trend. A rolled leather top handle, adjustable straps and secure inner hook and loop fastening make for all-day comfort. Cool! They look chic! Thanks for sharing! 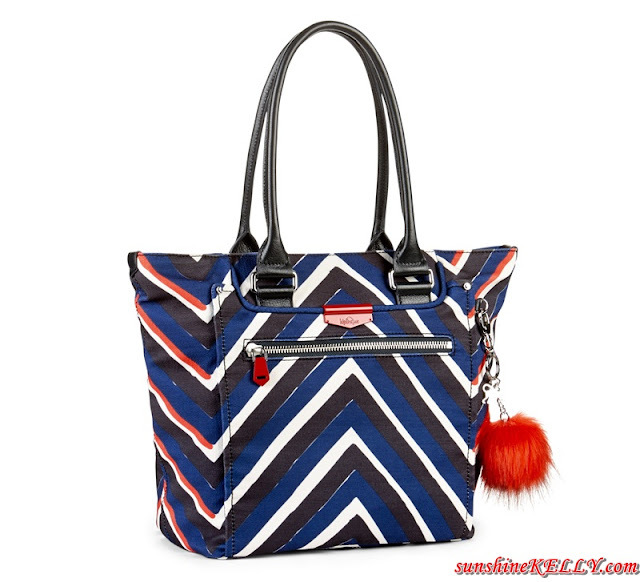 The Kipling brand has evolved from being simple teen fashion to indie chic for even the grown-ups. It's good that they maintain the lightweight, durable and water-repellent qualities of the canvas because that to me, is very practical for tourists and travel bag lovers. Kipling brand of bags really have practical designs that do not go out of style. These new designs will surely sell well like their previous ones. I have a few Kiplings and they are always venturing into new designs! How To Beat Wedding Jitters & Stress? What Is The Best Time For Wedding?